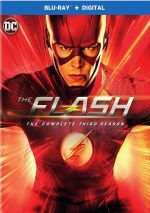 In Season Four, Barry "The Flash" Allen and his colleagues battle the growing menace of a super-intelligent being called The Thinker. More adventures of the World’s Fastest Human head our way via Season Four of The Flash. 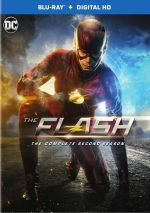 This four-disc set includes 26 episodes, a run that also features crossover programs from other DC series. The plot synopses come from IMDB. With the Flash lost in another dimension at the end of Season Three, “Reborn” needs to take a largely expository tone in its attempts to bring him back to normal. It’s a perfectly competent effort in that regard, one that doesn’t seem especially memorable but it does what it needs to do. “Signals” continues the season with another perfectly adequate show. The new villain seems mildly intriguing but not more, and the plot doesn’t add a lot of spark. Still, it’s a decent episode that comes with no obvious flaws. Though she reminds me a little too much of Deadpool’s Domino, Hazard adds a fun new villain, mainly because she seems so improbable. Beard makes her endearing despite her semi-evil orientation, and her presence helps turn this into a good show. After Hazard, it seems a little soon to concentrate on another meta who leans comedic ala Dibny. Despite that semi-redundant feel, “Night” works well in its own right and helps develop the season’s overall narrative nicely. Arguably the weakest actor on Flash, Panabaker makes Caitlin and Killer Frost characters who disappoint. Her prominence here means “Out” becomes a lackluster episode, and “drunk Flash” doesn’t help. After the largely lousy “Girls”, S4 rebounds nicely with “Met”. The scenes with Harry’s doppelgangers amuse well, and the main plot accelerates events in a solid manner. All of this adds to a better than average episode. We’ve gotten glimpses of Thinker/DeVoe throughout the season, but only hints of his capabilities and desires. “Therefore” explains a lot of this material in a positive manner and helps advance the season’s narrative in a satisfying way. “Crisis” spans four episodes, each from a different series. “Part 1” appears in Season Three of Supergirl, “Part 2” comes from Season 6 of Arrow, “Part 3” brings us to Flash and “Part 4” stems from Season Three of Legends of Tomorrow. After the long detour of “Crisis”, we return to S4’s main narrative via “Run”. It focuses more on Caitlin/Killer Frost than I’d like, but it also offers some juicy story developments, and those become enough to make this an effective program. “Trial” leans heavily on melodrama, and that becomes a liability. A new villain adds some intrigue, but the silliness of the court scenes makes this a mediocre show. Maybe the “Barry in prison” plot line will become interesting eventually, but so far it just feels like a gimmick. At least that side of the season allows Ralph to come to the fore, which he does pretty well. Prank and Trickster feel like Batman villains, but they still add some fun to the proceedings. “Barry in prison” continues to be a drag, but the other story elements fare better. Cecile’s new powers prove surprisingly entertaining, and though predictable, the “tiny team members” bits seem enjoyable. The pros outweigh the cons overall. Admittedly, the “metas for sale” theme adds spice to Barry’s incarceration. Nonetheless, I look forward to his freedom, as I find Barry’s time as an outlaw to be tedious. At least the combination of metas and Ralph’s new skill makes the episode mostly fun. The new meta offers an intriguing element, though I might like her just because MacDougall’s really hot. Other aspects seem less enchanting, though I’m happy Barry’s fully out of jail. 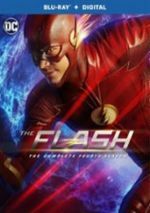 Enter Flashtime: “Barry, Jessie Quick (Violett Beane) and Jay Garrick (John Wesley Shipp) slow down time when a nuclear bomb detonates in downtown Central City. Three times the speedsters, three times the fun? Honestly, “fun” isn’t the right word for “Enter”, mainly because it follows a more somber, dramatic path than usual. It does pretty well in that regard, as it offers an engaging tale with some emotional impact. The “power-lifting meta” boasts potential, but too much of “Run” focuses on Iris’s own inner drama. That makes the episode feel a little too much like an “Afterschool Special” and it doesn’t become a consistently strong episode. Kevin Smith visits the director’s chair for “Null”, and that means a cameo from Jay and Silent Bob. Outside of that cute element, “Null” feels like a decent episode at best. While it boasts reasonable entertainment, it never quite connects. Though it touches on some serious topics, “Lose” manages a good balance of comedy and drama. The new meta becomes unusually entertaining, and the show advances the overall narrative well. When the episode sticks with action, it works fine. Unfortunately, it delves into psychobabble related to grief too often. Some shows could pull off those themes, but not Flash, so this ends up as an inconsistent show. “Therefore” gives us the backstory behind the DeVoe/Marlize relationship, a development that seems interesting in theory but less effective in reality. The Cisco/Gypsy bits also become tedious, so the emphasis on couples turns this into a mediocre episode. With little time left in S4, it feels like we should ramp up the tension and action. Instead, “Harry” continues the recent emphasis on touchy-feely emotional areas. Again, these add a little depth but they lean cheesy and make the show less than engaging. As S4 heads toward its conclusion, “Fast” heats things up – sort of. It seems oddly unfocused for an episode that intends to lead to the big finale, partly because of the season’s continued affection for “love will conquer all” themes. Still, the sight of Cecile as she channels others’ personalities amuses. Given the themes of previous shows, it shouldn’t come as a surprise that the finale leans touchy-feely. This doesn’t make it a bad show – and the return of a “dead” character adds spark – but it seems like a lackluster end to the year. Overall, S4 provides reasonable entertainment, but the main narrative simply never becomes all the involving, as the Thinker remains a bland villain. I like The Flash an find enough good material to endorse S4, but it’s not as good as I expect from the series. The Flash appears in an aspect ratio of approximately 1.78:1 on this Blu-ray Disc. As with seasons past, this one looked very good. As usual, S4 delivered a palette heavy on teal and orange. The discs reproduced those colors with good fidelity. Blacks appeared dark and dense, while shadows seemed clear and smooth. This was a satisfying visual presentation. Given the series’ TV roots, the DTS-HD MA 5.1 soundscapes didn’t dazzle, but they opened up the shows well. This meant a reasonable amount of action from the various speakers. The mixes concentrated on the front but they added a fair level of involvement from the back speakers. These tracks created a pretty good sense of place and popped up life during fight sequences. Audio quality worked fine. Music was full and lively, while speech became natural and distinctive. Effects appeared accurate and dynamic, with good range. While the audio’s TV origins held back its potential some, the tracks still added life to the shows. 12 Deleted Scenes accompany eight episodes: “Luck Be a Lady” (3 scenes, 2:19), “Elongated Journey Into Night” (1, 0:59), “Girls Night Out” (1, 0:52), “Don’t Run” (1, 0:58), “Subject 9” (2, 1:41), “Null and Annoyed” (1, 0:31), “Lose Yourself” (1, 0:27) and “”We Are the Flash” (2, 2:06). With brief average running times, one shouldn’t expect much from these cut sequences – and one doesn’t get much from them. They add minor elements with anything especially memorable on display. On Disc One, a Gag Reel spans eight minutes, 58 seconds. It consists of the usual silliness, and it gets tiresome well before it finishes. A featurette called The Elongated Man pops up on Disc Three. It goes for 10 minutes, nine seconds and offers info from Helbing, co-executive producer Eric Wallace and writer Sterling Gates. The show examines the Elongated Man character in the comics and his adaptation for the series. This turns into a reasonably informative overview. Also on Disc Three, Flash Time fills 13 minutes, 23 seconds with notes from Gates, Wallace and actor Katee Sackhoff. This actually provides a commentary for Amunet’s appearances along with some additional visual elements. “Time” gives us some info about the Amunet character and Sackhoff’s performance. We get a decent take on the appropriate topics. Over on Disc Four, The Fastest Mind Alive takes up 15 minutes, 43 seconds and involves Gates, Helbing, and Wallace. “Alive” examines elements related to the season’s main villain, and it becomes a useful look at the Thinker. 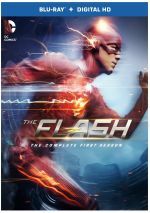 While I admire the ambition in the way Season Four of The Flash pursues one overarching story, the narrative itself seems only sporadically compelling. The year still offers reasonable entertainment but the spotty nature of the main plot makes it less effective than I’d like. The Blu-rays provide largely positive picture and audio along with a decent selection of supplements. S4 becomes moderately enjoyable but not the series’ best.